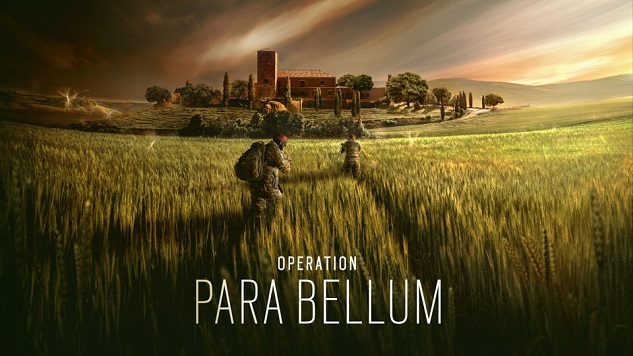 Ubisoft has revealed the details for the forthcoming Operation Para Bellum expansion, coming to Rainbow Six: Siege in June 2018. The expansion is set to be their largest content update yet, adding an all-new Italian countryside map called the Villa, some gameplay updates, and two new defending operators, Alibi and Maestro. In Ubisoft’s latest sales and earnings report, the company states that Rainbow Six: Siege has “more than 30 million registered players, record engagement in fourth-quarter 2017-18 and esports viewership up by approximately 300.0% for the Six Invitational.” Rainbow Six: Siege has been growing strong for a while now as it enters the second season of its third year, making it one of the most popular entries in the series. You can watch the gameplay breakdowns for the two new defending operators in the video below.